Hagen von Tulien is a German artist and occultist working in a variety of media including pen and ink, papercut, collage and digital formats. With more than thirty years of intense magical theory and practice, he has specialized in creating art as an expression and manifestation of magical states of awareness and its use as an esoteric tool. He is currently focused on deeply researching the Gnosis of the Saturnian Continuum and that of Esoteric Voudon. 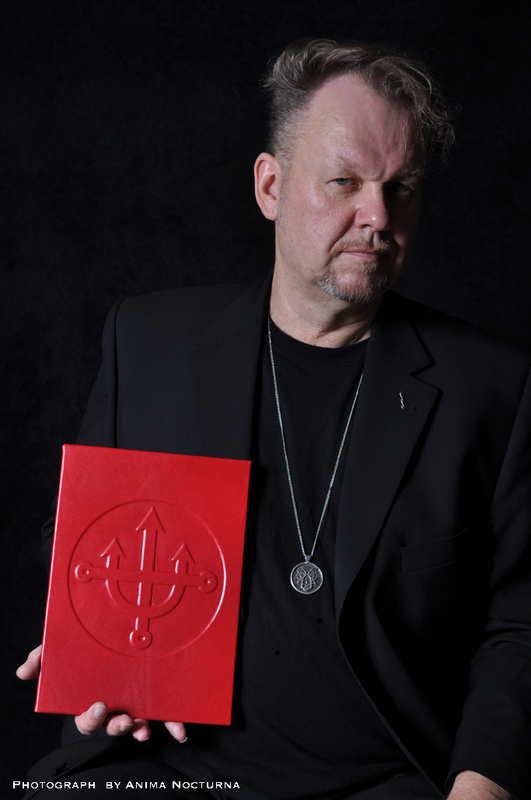 As a Gnostic Bishop of the Ecclesia Gnostica Spiritualis, Hagen is dedicated to manifesting the supreme and divine Gnosis within himself, while assisting others on their own path to kosmic freedom and liberation. 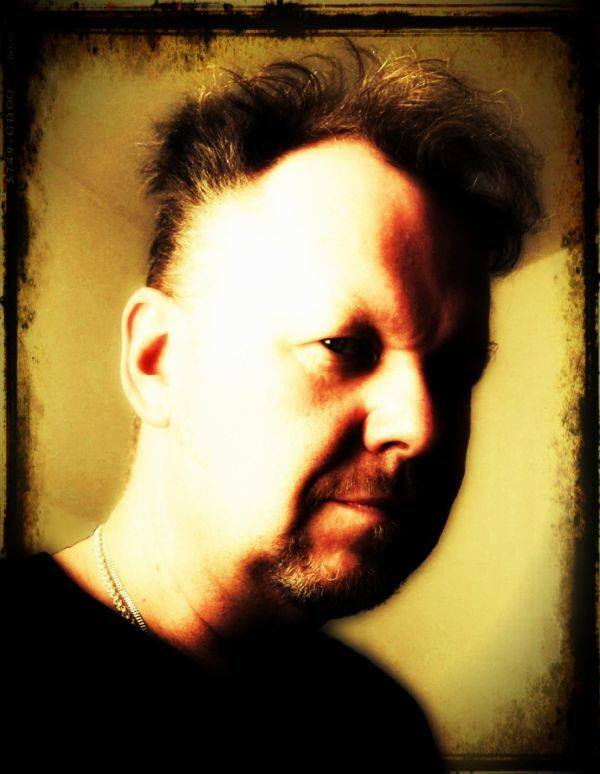 Hagen von Tulien is Black Lotus Kult’s International Art Director and the Magister of our Berlin Chapter. BLK – Ouroboros Press has stated a May release for Occult Psaligraphy. Can you give us an idea of what to expect from this title? 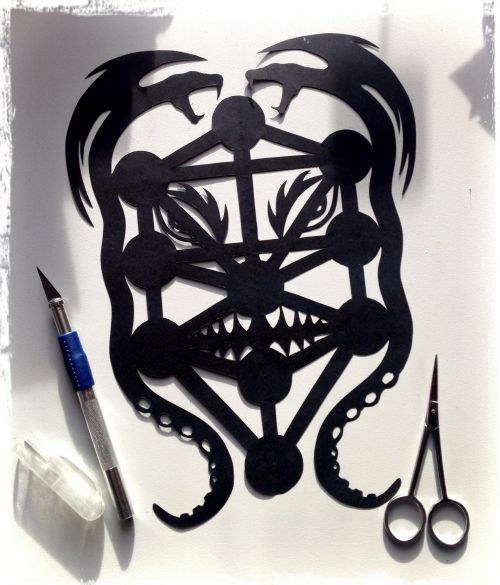 HvT – The book is a collection of many of my paper-cut artworks from recent years. The works are ordered according to several areas of interest of mine, like Voudon Gnosis, Saturnian Gnosis, Archaic Illuminations, Death-Gods and more. Some of these come from published works that have long sold out and will thus be again accessible through the book, but most of these works have never been shown before (or have only been seen in very limited circles). BLK – Many people know of your striking images from your artistic offerings, or from the covers or interiors of books you’ve contributed too. What some may not know, is that many of these artworks are based on your paper-cuts. Can you tell us a little about this art form, and how you got into it? 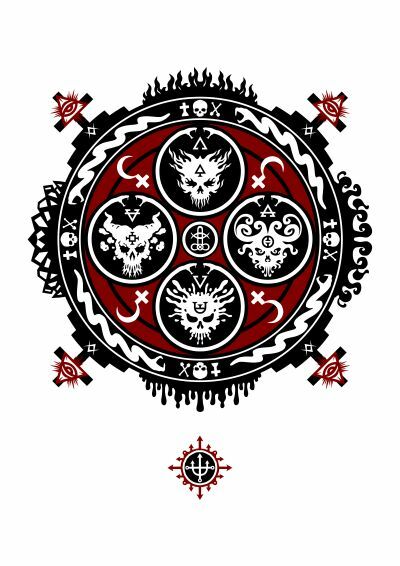 HvT – This question is answered in some detail in the text of Occult Psaligraphy. In short, I always loved drawing and the graphic arts, and I’m permanently fascinated by the variety of expression using only high-contrast black & white images (and sometimes just an occasional bit of colour, particularly red). Also I’m very fond of Cut-Up and Collage techniques. So both of these preferences particularly come together very congenial in the expression and art form of Paper-Cut. Papercut-Portrait of myself which an unknown street artist made of me during my early childhood. This is included in “Occult Psaligraphy“. BLK – Can you give readers some insights/examples regarding the methods you use in these works? The finished design consists of one piece of paper. The finished design consists of several individual cut-outs, which were combined to form a larger picture using digital methods. BLK – You have built a following of patrons who support your diverse artistic output, but rather than just making pretty or interesting things to hang on a wall, your art serves a purpose. Do you have a sort of a mission statement when it comes to your creations? these, access-points of power and knowledge to these expressions, and much more if one is willing to interact creatively with my creations.